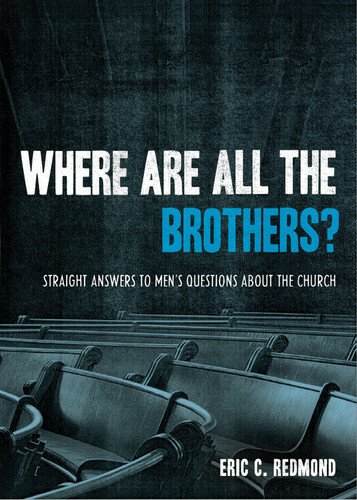 Posted by Eric C. Redmond in Being Intellectually Virtuous, Bibliotheca, Paul's Haircut, Where Are All The Brothers? Kwanzaa 2011 has started. You should be knowledgable of this tradition and how it competes with Christmas. So I have updated and reposted the blog below. Writing with simple truths, yet not simplistic, Marrow gives us a work with great significance toward the religiously-pluralistic nature of Christianity as practiced by many African Americans as a whole! In doing so, she challenges the duplicity and isolationist nature of the assimilation philosophy of African Americans—one that embraces every thing “Black” or “of African origin” while rejecting anything that is accepted by the American majority-culture. Well-researched in its investigation of the history and theology of Kwanzaa and its founder, The Truth About Kwanzaa demonstrates that Kwanzaa is a practice intended to replace the celebration of the incarnation of Christ, the worship of Christ as God the Son, and the identification with Christ by African Americans. It also reveals Kwanzaa’s elevation of “race” to an honorific place it has in no other currently-practiced American celebration, being more socially exclusivist than the religiously exclusivist Christianity it seeks to replace. Marrow convincingly demonstrates that adopting a practice of Kwanzaa is both anti-Christian, and – in it’s inherent separatist nature – anti- African-American. She has given the church a much-needed resource that should be in the hands of leaders and laymen alike. Give the book to your neighbor who is lighting Kwanzaa candles instead of – or worse, in addition to – Advent candles. It is only 46 pages long. Even people who could not make it to the end of my 112-page tome – ? – can finish this one. This morning Justin Taylor posted notice of Marilynne Robinson’s forthcoming work, When I Was A Child, I Read Books: Essays. You might also wish to know that Robinson previously co-produced a good introduction to the work of John Calvin entitled, John Calvin: Steward of God’s Covenant: Selected Writings. For someone wishing to read Calvin, but hesitant to read the full Institutes or having no need to pick up his sermons or commentaries, Robinson’s work is a good place to start. 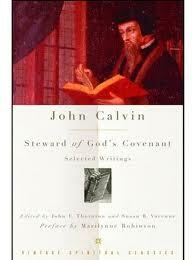 This selection of the writings of John Calvin (1509—1564) is the first for general readers to appear in many years. It showcases his powerful legacy, which has had far-reaching consequences for the development of religion and culture in Western Europe and in the shaping of American identity. Calvin was a prodigious preacher and writer, and his sermons, Bible commentaries, tracts, and letters fill dozens of volumes. The works chosen for John Calvin: Steward of God’s Covenant highlight ideas central to the Reformation but also to his influence on modern life, e.g., the importance of a work ethic and the notion of being “called” to action in the world; his belief in universal education for boys and girls; and his belief in the sanctity and freedom of individual conscience. Calvin’s theology of the “elect” of God motivated the English and Dutch Calvinists who settled the Atlantic seaboard, their Promised Land. The traditions of their communities and churches and laws produced the widespread present-day American belief in a divinely favored national destiny. In her brilliant preface to this edition, Pulitzer Prize—winning novelist Marilynne Robinson makes the clearest connection between John Calvin’s own biblical and patristic heritage and the heritage he in turn left the modern world. Tom Nettles was born to be a teacher, called to be a preacher, and trained to be a scholar. 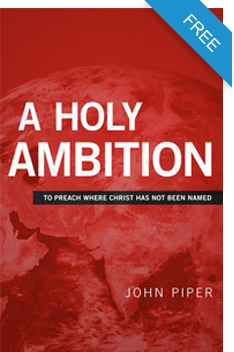 He has produced a library of scholarship and has shaped a generation of Baptist ministers and leaders. He has also done what few scholars ever have the opportunity or courage to do—he has reset the terms of debate for an entire denomination of churches. Thanks to Tom Nettles and his influence, there are important truths that are known and now cannot be denied. These essays are offered in honor of Tom Nettles with full recognition that our Triune God is the One who deserves all praise for his life and ministry. Our Lord is the One who gives “pastors and teachers to equip the saints for works of ministry” (Ephesians 4:11-12). We thank God for raising Tom up in our day and using him mightily in the effort to defend the authority of Scripture and recover the gospel that it reveals. Our hope is that this book, which addresses subjects that Tom himself has emphasized in his teaching and writing, will also prove useful in showing that all that we are and have is truly by God’s grace and for His glory. Experience the great books educational program at St. John’s College—by participating in a Saturday Seminar sponsored by the Friends of St. John’s College. These seminars attract about 200 participants from varied ages and walks of life, who gather for coffee and donuts before joining groups of 18-20 for one of a dozen seminars. St. John’s faculty members, called tutors, choose the readings—classic works drawn from the St. John’s program—and will conduct seminars on each. Choose one of the topics listed, read the assigned text in advance, and then join with others on seminar day in a discussion of the work. No previous knowledge of the subject or author is required. No outside research on the topic is expected. Seminar participants are responsible for their own text. Sign-up here for e-mail updates about future seminars. Questions? Contact Alice Chambers at 410-295-5544 or alice.chambers@sjca.edu. St. John’s College is best known for its “New Program”—the school’s all-required curriculum centered around the reading and discussion of the great books of Western civilization. Although this program was instituted in 1937, St. John’s traces its origins to 1696, when it opened as King William’s School—what was then called a free school and would now be called a grammar or prep school. King William’s School became St. John’s College in 1784 when St. John’s was chartered by the State of Maryland. For the next 150 years, St. John’s had educational and financial highs and lows until the 1929 stock market crash threatened to close the college for good. In 1937, in an eleventh-hour effort to save St. John’s, the college’s board hired Stringfellow Barr and Scott Buchanan, two academics with revolutionary educational ideas, to completely revamp the curriculum, and the pair implemented the New Program. Seventy-five years later, the New Program still thrives, as does St. John’s College, known as one of the country’s most intellectual colleges. To register for the February, 2012 Saturday Seminar, download the paper registration form. Seminars will be filled first-come, first-served. Early registration is recommended. There is a registration fee of $40 per person for each seminar. All registrations must be accompanied by payments to hold your space. To register, please complete and return this registration form with credit card information or a check payable to St. John’s College to Saturday Seminars, Community Programs Office, St. John’s College, P.O. Box 2800, Annapolis, MD 21404. Online registration will be available after December 15. 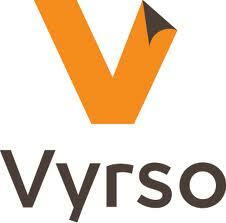 Phone registrations will not be accepted until after February 10. For questions contact Alice Chambers in Community Programs at alice.chambers@sjca.edu or 410 295-5544. In commemoration of the 75th year of the establishment of the St. John’s Program, “Saturday Seminars” will focus only on the great books of Western civilization that all St. John’s students read as part of their required curriculum. 10:15 – 11:45a.m. Seminars in Mellon Hall classrooms. Room assignments given on check-in. For directions around campus, please see our campus map. In Book Theta of the Metaphsyics, Aristotle develops the vocabulary of energeia and dynamis in relation to the question of being qua being. This account also sheds light on the use of these terms in works such as the Physics and Ethics. Many works by Aristotle, as well as Euclid, Lavoisier, and Harvey are read by St. John’s students in their first year. Sometimes described as the West’s first autobiography, Augustine’s Confessions combines impassioned, prayerful reflection on the restless human heart with probing inquiries into everything from the meaning of evil to the nature of time. We will read the first eight books, in which Augustine describes the wandering path leading from his infancy and misspent youth in North Africa to his conversion to Christianity at the age of 31. Second Year students all read the Confessions. In the first part of the book, Bacon offers his critical analysis of the ways in which thinking people mislead themselves, not only in spite of, but, often, because of their best efforts. In the second part of the book, Bacon provides an example of his new method, which is intended to minimize the shortcomings of human reason, in order to further the project of ‘obeying nature in order to control her’ for the benefit of all people. This work is read by second year students as well as Copernicus, Descartes, and Pascal. In the Sermon on the Mount, Jesus says he comes to fulfill the law and the prophets. We’ll explore what this claim means, as a way of understanding what’s “new” in the New Testament and why Jesus teaches in Parables. Students between their freshman and sophomore years usually read the Bible over the summer. Many parts of the Old and New Testaments are discussed in the Sophomore seminars at St. John’s- as a text to be examined- rather than a basis for faith. The Discourses and Handbook of Epictetus, a first-century A.D. Roman philosopher, provide an excellent introduction to the way of life and thought known as “stoicism.” Participants in this seminar will investigate how the practice of stoicism is supposed to lead to freedom and tranquility. Is this practice attractive and attainable by 21st-century Americans? We will discuss Discourses (I 29; II 1, 2, 4, 5, 8, 9, 10, 11, 16, 18, 22, 26; III 5, 12, 13, 15, 18; IV 2) and Handbook 1-27. These two works are examined by students in their second year following Virgil’s Aeneid and some of Plutarch’s Lives. In Fear and Trembling, Soren Kierkegaard explores the meaning of faith. In the opening chapters, Kierkegaard focuses on the exemplary man of faith, Abraham, and offers four different versions of the story of Abraham and Isaac as a means of considering the problem of faith. The discussion will focus on “Exordium” and “Eulogy on Abraham.” The preferred text is the Princeton University Press, pp.9 – 23. Kierkegaard, along with Darwin, Hegel, Marx, and Freud are read in the Fourth year program of seminars. In this 17th century comedy of manners, Alceste, the protagonist and “misanthrope” challenges the social conventions of the time. He penetrates the devastating hypocrisy of daily discourse and hungers for more sincerity in human relationships. Despite his disgust with mankind, he – rather ironically – falls in love with a vivacious , popular flirt. His pursuit of this coquette involves him in much foolishness and finally results in a desire to be completely isolated from society. The play provokes a criticque both of “manners” and of a moralizing superiority to them. Moliere’s “The Misanthrope” is a third year author for Johnnies who are also studying French that year. In this selection from Untimely Meditations, Nietzsche criticizes the modern mode of education, which aims to stuff all of the objective facts of history into the minds of students. He argues not only that such objectivity is impossible, but also—and more importantly—that this indiscriminate fact-stuffing ruins students’ souls. He offers an alternative form of education that aims at a kind of soul-craft rather than a meaningless accumulation of so-called facts. Neitzsche’s Thus Spake Zarathustra and Beyond Good and Evil as well as The Birth of Tragedy are discussed in the senior year. Facing indictment on charges of impiety and of corruption of the youth of Athens, Socrates must defend himself in front of the Athenians. Unlike other Platonic dialogues, this is more of a monologue, as Plato gives us Socrates’ defense of an examined life. Beginning students at St. John’s, while learning ancient Greek, all read Plato’s surviving works- mostly in translation- but they try their hand at some in the original. Love, jealousy, innocence, betrayal, revenge, hate, murder, political corruptions, the good, the bad and the ugly. This play reaches into the dark soul of the human spirit to inquire whether the good are at the mercy of the duplicitous and debased. Could this tragedy have been avoided? Can anyone who loves well loves wisely? In addition to a variety of Shakespeare’s histories, tragedies, and comedies, St. John’s sophomores read the bard’s sonnets along with poems by Donne, Marvell, and other 16th and 17th poets. Sophocles’ tragedy reflects on a number of fundamental themes, the possibility of human freedom, the division between public and private life, and the possibility of human greatness. As well, it is one of the most flawlessly conceived of all Greek tragedies. First year students read the ancient playwrites Aeschylus and Euripides in addition to the Oedipus trilogy of Sophocles. In Part IV, “A Voyage to the Country of the Houyhnhnms,” the last of his four voyages, the shipwreck prone Gulliver finds himself among a society of rational horses, called Houyhnhnms, who live a materially and culturally simple life, virtually free of conflict, guided entirely by reason. After living with them for some time, he comes to admire them deeply, and finds his estimation of himself and his fellow human beings profoundly transformed, for the worse. Swift’s tale raises questions about virtue and vice, admiration, self-esteem, contempt and loathing, as well as about the sufficiency of the guidance of reason. While Cervantes’, Don Quixote leads off the junior year, other novels including Eliot’s Middlemarchand Swift’s Gulliver’s Travels are read also for seminars that year. In The History of the Peloponnesian War, the discussion will be on Book V, the Sixteenth Year Year of the war, “The Melian Dialogue.” The suggested text is *The Landmark Thucydides, Free Press, 1996: (5.84-5.116), pages 350-357. Thucydides, reconstructs the negotiation between the leaders of Melos, an island that was neutral in the war between Athens and Sparta, and the Athenian envoys who arrived there with an overwhelming force in the sixteenth year of that war. The Athenians took the position that “the strong do what they can and the weak suffer what they must,” while the Melians argued that it was in Athens’ long term interest not to violate a principle that protected both parties: “namely, the privilege of being allowed in danger to invoke what is fair and right…” This short passage is widely studied by statesmen and military leaders and is considered a crucial reading for liberally educated citizens. Since program books are read more or less in chronological order, Thucydides ancient history of the Peloponnesian War is read in the First year, following Homer’s Iliad and Odyssey.